By Melissa Lennig on August 21, 2017 Leave a Comment. This content contains affiliate links. As an Amazon Associate I earn from qualifying purchases. Inside: In this post, learn how to make a beautiful clothespin and watercolor monarch butterfly craft to celebrate the monarch’s late summer migration to Central Mexico. Inspired by our latest trip to the nature center’s butterfly garden, my kids and I got crafty at home with color diffusing paper, liquid watercolors, and clothespins. Though our clothespin and watercolor monarch butterfly craft doesn’t look exactly like the real thing, we still had a lot of fun. 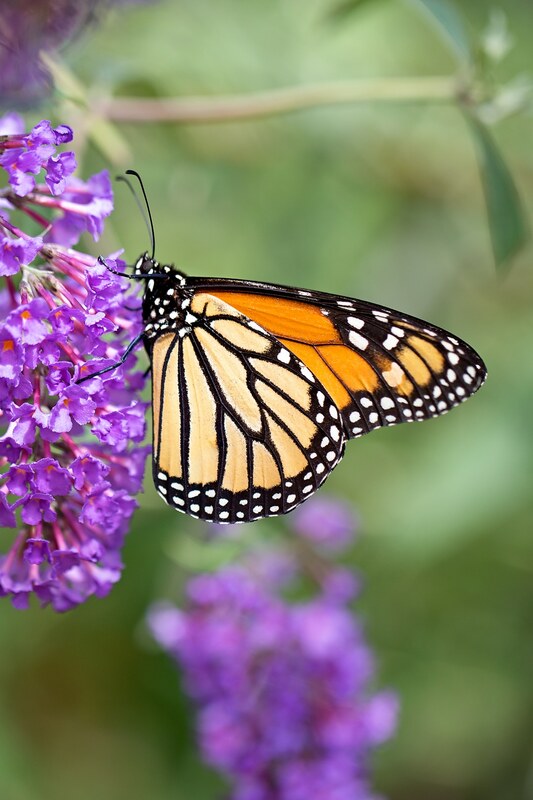 The monarch butterfly has a very interesting life cycle. Every year, 4 generations of monarch butterflies are born. The 4th generation, born in late summer, migrates from North America to Central Mexico to overwinter until spring. In late-August/early September in many parts of the Eastern and Midwest United States, nature centers host “Monarch Days” where community members can watch monarch butterflies migrate and even tag and release butterflies for Monarch Watch. Search your local metro parks website to find a monarch butterfly event in your city! 1. After gathering supplies, place several sheets of paper towel in a craft tray, then lay 1 sheet of color diffusing paper or 1 coffee filter over the paper towels. 2. Pour the liquid watercolors into small mason jars, muffin tins, or paint trays. 3. 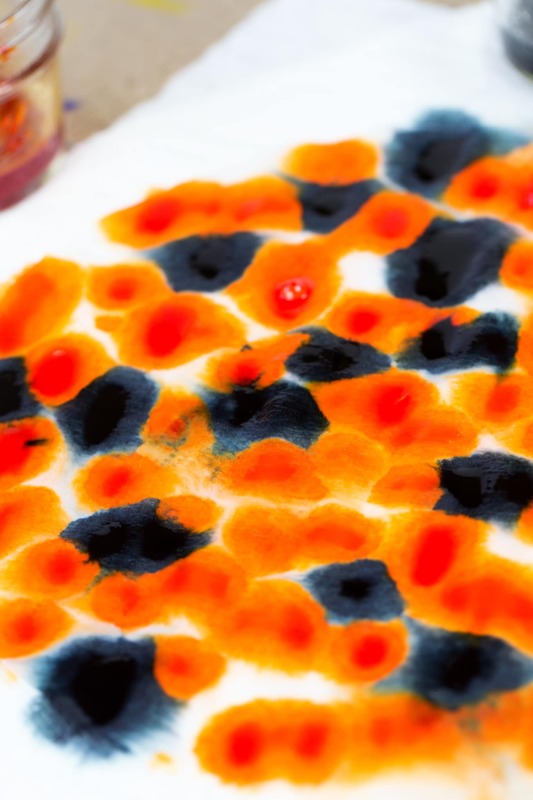 Invite your child to use a pipette or dropper to distribute the orange and black liquid watercolors over their color diffusing paper or coffee filter. 4. When your child is satisfied with their paper or coffee filter, invite them to spray water over it. 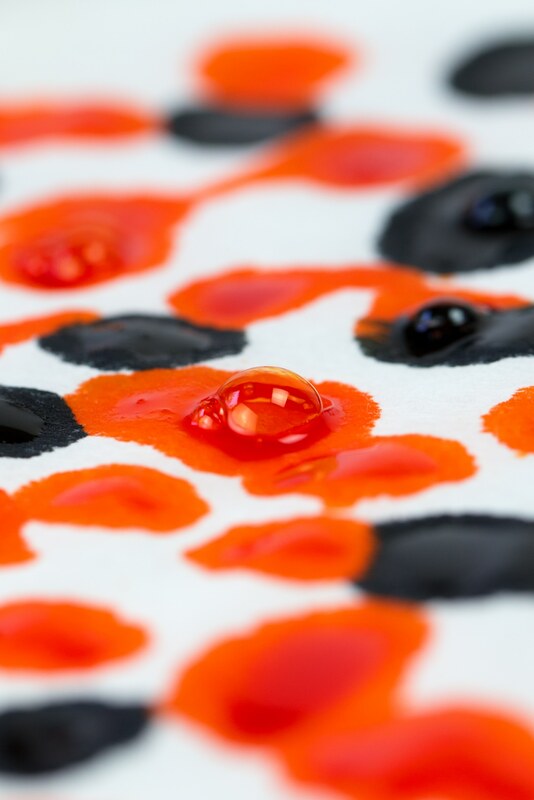 Watch as the color diffuses across the paper! 5. Set your child’s tray aside to dry. 6. 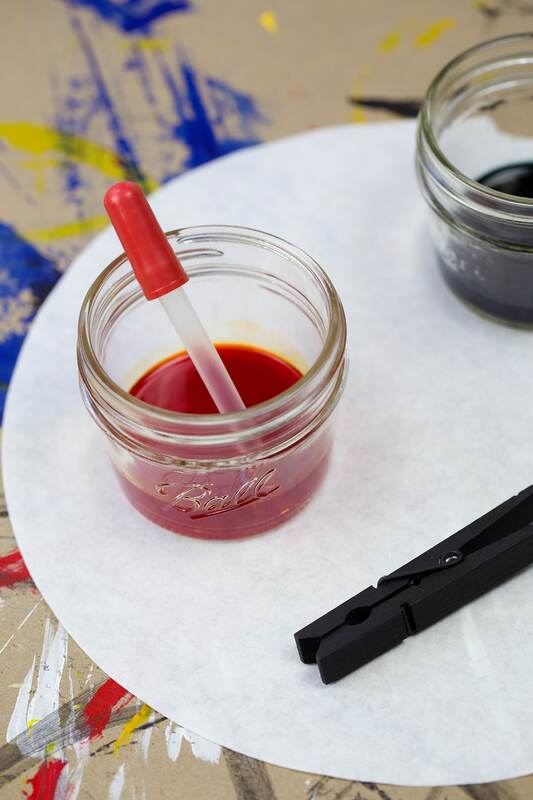 While their paper is drying, invite your child to paint a wooden clothespin with black acrylic paint. 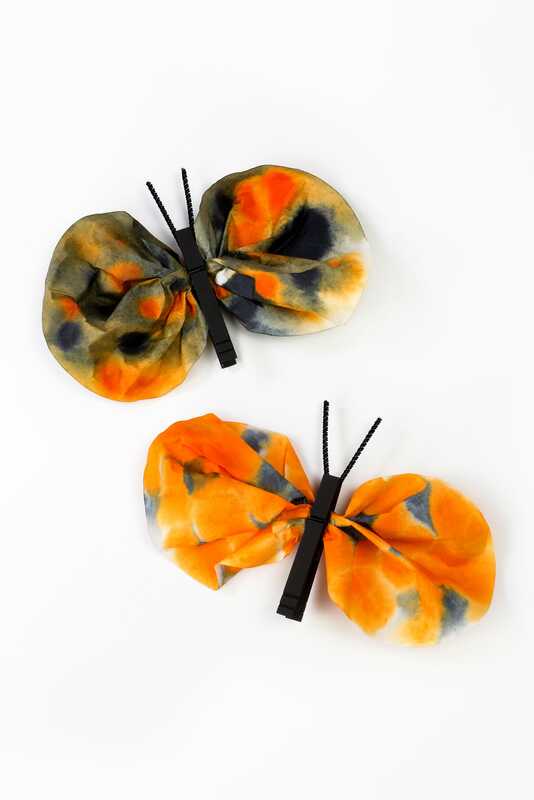 When they are done, they can prep their butterfly’s antennae by cutting a black pipe cleaner in half, then folding it into a V.
7. 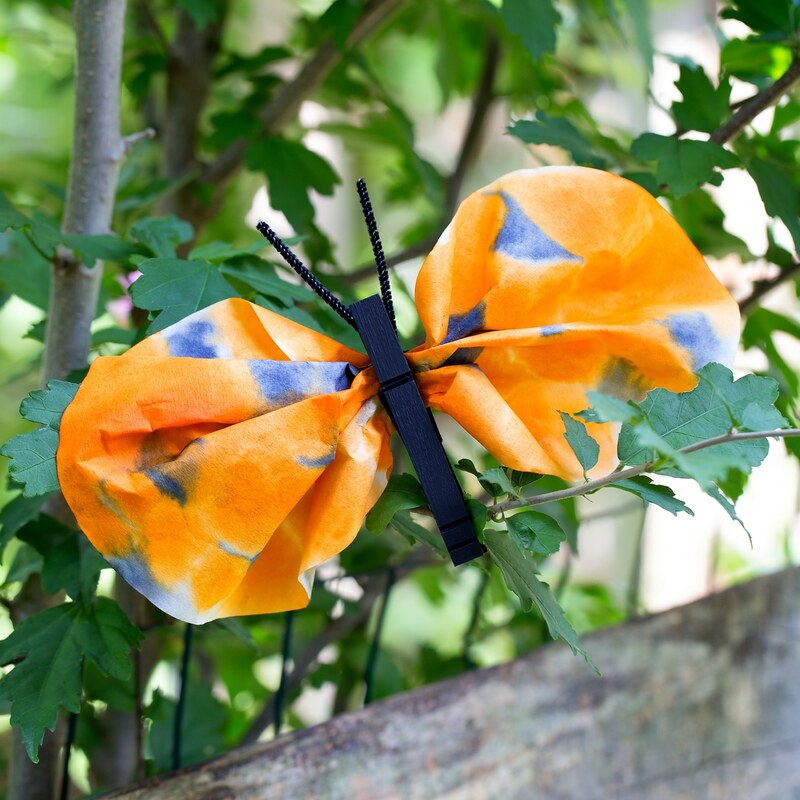 When all the materials are dry, show your child how to scrunch their paper in the middle, then slide it inside of the clothespin to make wings for their butterfly. 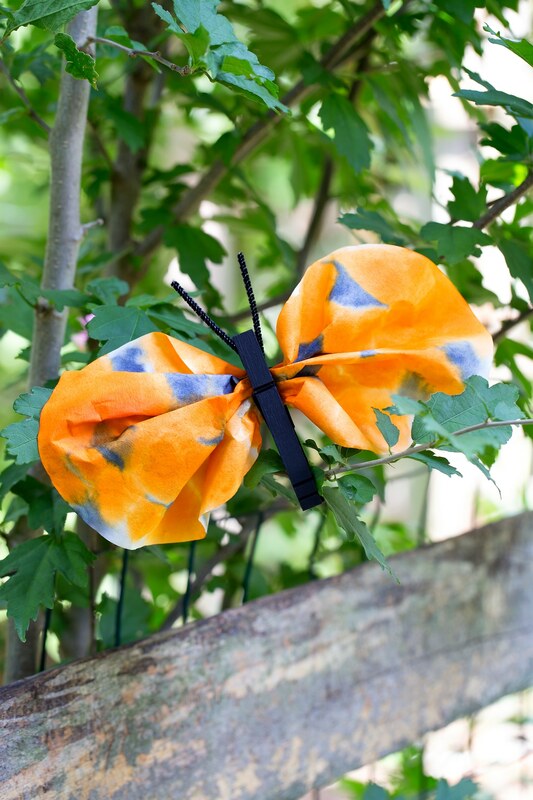 Once the paper is inside of the clothespin, they may wish to fluff out their butterfly’s wings. 8. Last, slide the pipe cleaner into the top of the clothespin. If you desire, secure the tip of the clothespin with a drop of craft glue.